Simplification and Automation vitalize the software! Holding, managing and scheduling the super high traffic load. Enpower the rapid bussiness growth. Orchestrating the whole architecture stack, scaling services to meet the real-time demand. Monitoring the performance and health, and connect the infrastructure and the middlewares with the application services. Basically, a company could have three major phases during its growth. Phase 1: From 0 to 1. This phase is a proof-of-concept of product. Phase 2: Customer Acquisition. This phase means the product is successful, and can introduce and sale to more and more customers. Phase 3: Business Expansion. This phase mean the company start to expand its business to other area. For Phase 1, the software engineering team just need to deliver the feature, and all-in-one monolith software architecture. For Phase 2 & 3, the software engineering team would consider the architecture's availability & scalability, and will introduce the large-scale distributed service-oriented architecture and so many non-functional works - such as: deployment system, monitor system, service scheduling, gateway, and cloud platform. This is very hard! MegaEase inc. would help you to conquer those technical monsters! Almost all of cloud computing company advertise they will bring the more and more availability and scalability to customer. However, we know the fact is the customer's application software is the key to there. 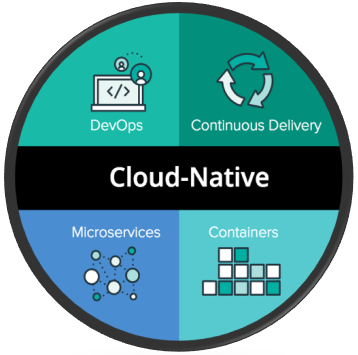 If customer's software is not cloud native architecture, we eventually cannot bring the availability and scalability to customer. Scalability. The application level will be scaled with the underly platform, the software services is very easy to orchestrate. Service. It's very easy to turn your internal service to external, and provide the Software-as-a-Service platform. Ecosystem. The Open-API platform could bring more and more direct or indirect patterns to your platform with you deliver the large-wide services." To achieve this, it is a big technical challenge for most companies. MegaEase Inc. would help you achieve this easily! The online panic buying can bring a huge high traffic load for a site, and it needs the adjustment of architecture and capacity, this is really hard for engineering team especially for the unpredictable traffic. The Ease Gateway is very easy to deal with this hard situation. The performance test for the whole stack is very hard, especially simulating the production to test environment. The Ease Monitor can be easy to understeand the production's performance, and the Ease Stack can automatically to scale the service in realtime. The Ease Gateway can help to ease convert the internal service to public web service, and automatically generate the Open API SDK and Documents. Not only speed up the development, but also other company or developer team can be easy to integrate with their application. This is the key to build the ecosystem. There are many teams in a company need a similar service stack, such as, integration test or common services, we need deliver the same stack environment to different team. It's very quick and easy to use Ease Stack deliver a stack for multi tenancy. The Ease Gateway can help to route the traffic to different data center by failure detection, and switch the traffic from the failure data center to other aviable data center, this can provide transparent user experience when the disaster happens. Basically, in cloud computing marketing, there will be many same resources, such as, storage service, CDN service, payment service ... By using our product, we can easily manipulate the multiple resources, which could maximize the resource usage and minimize the cost. The Ease Gateway helps to enlarge the availability and stability, also can improve the performance without changing a line of code. It also can smoothly support the rapid bussiness growth without re-arch the whole system. Usually, we want to run big business promotion online. Especially for e-Commerce, we have much lower prices than usual but limited stock, but have huge amount of people online compete on that. The Ease Gateway is very easy to support online flash sale without changing a line of code. This function is automatically help website optimize the performance, such as: adding the cache, merging the requests, and reduce the network bandwidth. Sometimes, a site could have unexpected traffic which higher than planed, the Ease Gateway could help to protect the critical service for critical customers, it would automatically sacrifice the unimportant services to release the resources utilization, instead of the whole site down! This is a protection function which monitors several facts - throughput, latency and error rate. Once the traffic and the response reached a configured threshold. The throttle will be enabled. This is a protection function which monitors for failures. Once the failures reach a certain threshold, the circuit breaker trips, and all further calls to the circuit breaker return with an error. Once the failures recovery, this function will be disabled automatically. Define a stack manifest which describes each service Docker image, instances, resource, deployment(Docker), and dependencies etc. Ease Stack can launch the whole architecture in one command. The could make it easy to initialize an environment. Each service in stack could be different state - Provision, Ready, Update, Scale, Destroy etc. The Ease Stack could manage the state and keep the whole stack running with a its well defined life-cycle management. It's very easy to scaling the individual service by invoking a very simple API, and balancing the load to the new service nodes. Help to recovery failure instance, and maintain the number of service's instances forcibly. Leverage the engineering team engage to DevOps and increase the productivity and the automation of operation. The keys of service health is response time and successful rate with an centain throughput. The Ease Monitor exposes the visibility of the service health in runtime. By providing a number of Top N slowest or hottest services list, it's easy to find which service has the bottleneck and capacity issues. The Ease Monitor can trace each transaction from end to end, from the user's smart phone to the backend database. It can be easy to tracing every transaction in a distributed system, and gather timing data needed to troubleshoot latency problem in micro-service or SOA architectures. The effective monitoring system need mapping all of the metrics with the services actually serves the user. The Ease Monitor can map service, middlewares, and infrastructure metrics together, and let engineer easy to understand the whole stack. The architecture adopts the opening and mainstream techniques, so it's very easy to integrated with the current existed customer's monitor system. Provide the mature and enterprise-level solution to solve the pain problems. Design and construct the high availability and high concurrent software architecture. Improving the engineering team's quality and productivity. Currently, because we are a very young startup, at this stage, we cannot serve many customers. We have to blance our resources and bandwidth, so that we can deliver the best customer service and support, thanks for understanding. To become our initail customer, you can leave the message to us! Once you become to our customer, we will try our best serve you to success. Feel free contact to us, help customer to be successful is our mission!